Euro-priced gold and silver are not down over this three year, eight-month period, but up 15% and 11%, respectively! This, as the ECB has taken interest rates negative – and real rates far more negative; whilst printing more than a €1 trillion to monetize sovereign bonds, with another €540 billion promised by year-end; and the promise, as of last week, to maintain negative rates “at present or lower levels for an extended period of time, and well past the horizon of our net asset purchases.” And yet, gold and silver prices have opened the (thinly-traded) London “pre-market” paper session by declining – in most cases, after Asian-session gains were stopped cold with said “Cartel Herald” algorithm – an astonishing 87% of the time! In other words, the price suppression I have spent 15 years tirelessly reporting on is not conjecture, but fact. As are the blindingly obvious reasons it occurs; i.e, the same reasons fiat-currency-issuing Central banks have attempted to suppress Precious Metals for centuries; in all cases, ending in ignominious failure. To that end, as I wrote earlier this week, “all Cartels fail, and this will be no different”; and today, amidst the terminal phase of history’s largest, most destructive fiat Ponzi scheme, we are talking about the inevitable collapse of history’s largest, most destructive “gold Cartel”; which may well be imminent, given the explosion of money printing as we speak, amidst an environment of record physical demand; terminally plunging production; historically scant above-ground, available-for-sale inventory; unprecedented, parabolically exploding debt; the worst economic environment since the Great Depression; serially collapsing currencies; and global political uncertainty not witnessed since World War II. The “perfect storm” of political, economic, and monetary events commencing today – starting with the Fed’s potentially “fatal policy error” this afternoon. Which, I might add, comes as the following three economic headlines hit Zero Hedge. This whilst the Dutch election results start to come in; followed by the stroke of midnight, when the U.S. debt ceiling “returns” at roughly $20 trillion, mere hours before the Trump Administration is scheduled to present its initial 2017 budget proposal; including the massive tax cuts, infrastructure, and “Trump-care” proposals that have not a chance in hell of occurring – amidst the quantitatively most overvalued financial markets in global history; and a collapsing economy that even worthless “soft data” – which in the immediate election aftermath soared to multi-decade highs – is starting to reflect. Perhaps, this is why my SGT Report podcast from last week, which Sean titled (without my input; and per my anti-conspiratorial beliefs, my consent either) “what do the Rothschild’s know about March 15th?” has gone viral, to the tune of…wait for it…534,000 views as I write, and rising! To that end, will Andrew Maguire be right that the gold Cartel will be destroyed in the next 3-6 months? Or David Stockman, who yesterday issued an imminent stock crash warning – based on the ramifications of today’s FOMC meeting and debt ceiling re-establishment? I guess only time will tell. 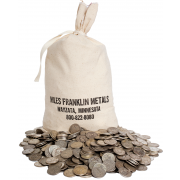 That piece of smelly trash out of the way, let’s move on to today’s principal topic, “precious metal investing 2017 -the “old” versus the new”; which came to mind yesterday – as I considered the fact that for all intents and purposes, despite unprecedentedly massive official attempts to stifle it, global Precious Metals demand is at an all-time high; resulting in prices that, on average, when considering the 180+ currencies gold is traded in, are just 15% or so below their all-time highs. Except, of course, here in the center of PM suppression, the United States of Dying Dollar Hegemony, where gold’s decline from 2011’s “point of no return” all-time high is 37%. And by the way, the table I published when I wrote said “point of no return” article in 2014 – depicting how obvious it was that the government went all-in with 24/7 PM price suppression in 2011, has been updated below. Again, with no comments required. Currently, Precious Metal demand in said center of global price suppression; which as I speak, is more egregious, desperate, and damaging than at any time I can recall in the 15 years I’ve been watching (per my long-standing “manipulation mantra,” “each day worse than the last”); is as low as I can remember, certainly in the five-and-a-half years I’ve been with Miles Franklin. This, after a 2016 when demand was quite brisk. That is, until the vicious, post-election Cartel raids – coupled with the equally egregious PPT-stock goosing that has pushed equity valuations to, or by many metrics above, Dotcom Era levels that represented, unequivocally, the most overvalued markets of modern times. This is precisely what occurred at the generational Precious Metal bottom back then – albeit, at far lower prices, with many other factors (such as the aforementioned Washington Agreement) contributing to the subsequent price surge as well. Moreover, the inflation noted in the above chart has caused mining costs to skyrocket as well; and oh yeah, dozens of – heck, all – fiat currencies have since plummeted, causing PM demand to skyrocket to record levels, as production peaked and available-for-sale inventories were depleted – in large part, covertly, by governments like the U.S. attempting to garner “confidence” in their worthless, hyper-inflating fiat toilet paper. 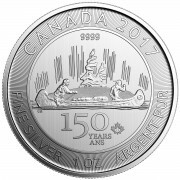 In other words, gold and silver at today’s prices of $1,200/oz and $17/oz, respectively, are arguably “cheaper” today than at $280/oz and $5/oz, respectively, at the turn of the century. Back then, even I was not yet in the PM sector – as I didn’t start investing in it (and immediately, going “all in”) until 2002. Moreover, it wasn’t until 2008 when I first started investing in physical metal, although I did dabble in closed-end funds like the Central Fund of Canada (which Sprott is currently trying to take over) and GoldMoney, as far back as 2004. Let alone, my employment in the bullion industry itself – which didn’t start until 2011, after five years of toiling in the mining industry. That said, I’m quite sure that the earliest investors in the now 17-year bull market were “old guard” types, who invested in the late 1970s bull run, and believed in real money more than ever. And after nearly six years in the bullion industry, I’m quite sure that the majority of buying in recent years has been by that same “old guard” – who, after lifetimes of wealth accumulation, are as staunchly behind Ayn Rand’s hard money beliefs than ever; and Alan Greenspan’s, until he sold his soul for power in 1987. Yes, “momentum investors” have come into the space when prices have surged; and an eclectic, difficult to define mix of investors when “special situations” approach, like 2015’s Shemitah. However, it’s that same “old guard” – and “old souls” like myself and Miles Franklin’s President and Co-Founder, Andy Schectman – who have been the primary buyers on dips, both here and in other fiat-centric, equity-market-“supported” Western nations. Conversely, retail buying in China, India, and other non-fiat-centric cultures is complete independent of such short-term considerations – as those peoples have long understood the value of gold and silver, and the lack thereof in fiat currency. 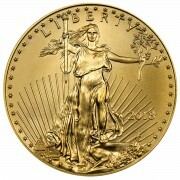 Which brings us to today, when historically overvalued stock and bond markets – which unlike the Dotcom era, are entirely due to government manipulation – have caused the vast majority of Americans to lose interest in (equally manipulated) Precious Metals; particularly because the vast majority have record low savings – care of the massive financial crashes of 2000 and 2008, and the historically horrible economy thereafter. 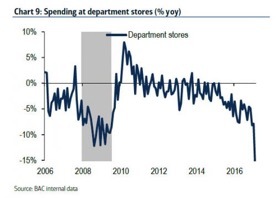 Heck, just like in 2000 stocks and 2008 real estate, the “unwashed masses” are joining the equity party at the top, per recent fund flow reports depicting massive retail buying – and conversely, institutional and insider selling. Moreover, said “old guard” types – myself included – are now, finally, “fully invested” in physical metals, to the point that our portfolios are bursting at the gills with gold and silver (and a tiny bit of platinum). Yes, I’ll likely buy more if my income dramatically increases – which until prices surge, it likely will not; but irrespective, at roughly 75% of my liquid net worth, how much more can I buy? Not to mention, as my wife will no longer tolerate additional purchases! 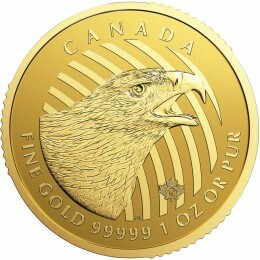 Which leaves us with the “new guard” – i.e., first-time investors, who have never considered Precious Metals as an investment; having not even known they existed as an asset class during the 2000 and 2008 crises; and little or no interest today, due to the aforementioned, record high – albeit, historically endangered – stock and bond markets. Per last week’s Audioblog, we are rapidly approaching “the most overdue financial crisis in history”; and when it occurs – in my view, much sooner than later – it will not be thousands, but millions of first-time investors driving dollar-priced gold and silver prices to new all-time highs, and far beyond. In other words, our cumulative education efforts matter – as at some point, said “new guard” will enter the Precious Metal market in tsunami-like fashion; only to find extremely limited supply, at vastly higher prices.